Only 10 more days left of residency! If you can’t tell already, I’m pretty excited about that! I think there are going to be a lot of extra exclamation points in today’s post. Sorry I just can’t help it! I start my last week of call as a resident today. Ahh that sounds amazing! For those of you in medicine you can understand just how exciting that is. For those of you not in medicine just be happy you don’t know what being on call means. It’s brutal. Just brutal. So what am I going to do with myself once residency is over? Unfortunately, nothing too exciting. I still have to write my rheumatology exams in the fall so for the next few months I am going to be studying like a mad woman. I am also going to work 1-2 days a week in what’s called a locum position (similar idea to a substitute teacher) to make some money during that time. What’s insane is that I will be making more money working 1-2 days a week than I was making working more than full time as a resident. Such a crazy system. We kill ourselves for 10 years of medical school and residency and then finally start seeing the rewards after all that time. I am also planning to escape to British Columbia for a couple weeks right after I finish my training to enjoy some much needed lake and pool time. Studying by the pool is much more enjoyable than studying anywhere else. That natural vitamin D is just good for the soul. Besides finishing residency very shortly here I am also pretty excited about today’s recipe: Slowcooker Blueberry Coconut Pork Roast. 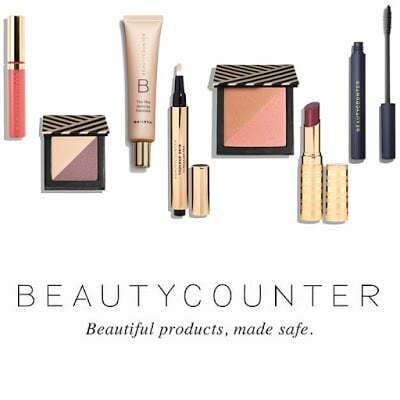 Are you curious? Sounds like an interesting flavour combination doesn’t it? Well trust me it’s delicious. And because it’s made in the slow cooker, it’s also extremely easy to make! My slow cooker has been such a saviour. I use that thing ALL THE TIME. Nothing makes preparing meals easier than a slow cooker if you ask me. You just throw the ingredients in, set the time and temperature and you’re good! It’s as easy as that. For anyone looking to make meal preparation easier I highly suggest investing in a slow cooker. They are inexpensive and tend to last forever (at least mine has so far). In fact, my slow cooker is so old they don’t even make it any more! I tried to find it to link it for you guys and it just doesn’t exist. This one looks very similar though. I realized it had been a while since I posted any kind of meat recipe. Sorry for that friends. 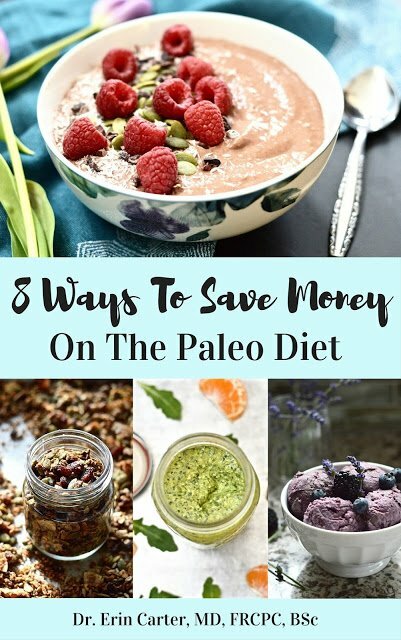 I was busy sharing things like my free ebook, “8 Ways To Save Money On The Paleo Diet“, and some other amazing recipes like Slightly Sweet Grain Free Granola and Roasted Honey Dijon Pecans. But even though I haven’t been posting any meat recipes doesn’t mean I haven’t been busy concocting up new meat dishes behind the scenes. So stay tuned for more coming soon! So how did I come up with this recipe? To be honest I’m not really sure. I have always loved the flavour combination of blueberries and pork and I had a pork roast that needed to be cooked. 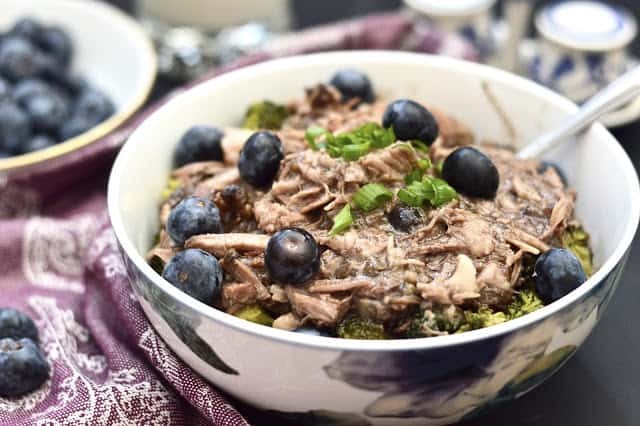 So I threw a few things into the slow cooker, said a little prayer, headed to work, and came home to pork and blueberry deliciousness. I love it when things work out like that (trust me it doesn’t always happen). 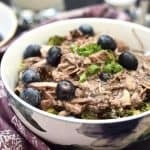 And besides being super tasty and easy to make, this Slow Cooker Blueberry Coconut Pork Roast is also compatible with the Whole 30 diet, the AIP and paleo diets, as well as the Low FODMAP diet. It’s like I always say, eating healthy doesn’t have to be boring! Plus it’s almost blueberry season so soon you can make this dish with fresh, local blueberries! Oh yum, I can’t wait for blueberry season. It’s one of my favourites that’s for sure. I am just imagining dishes like blueberry cobblers, blueberry crips, and blueberry pies. Some more recipe ideas perhaps? 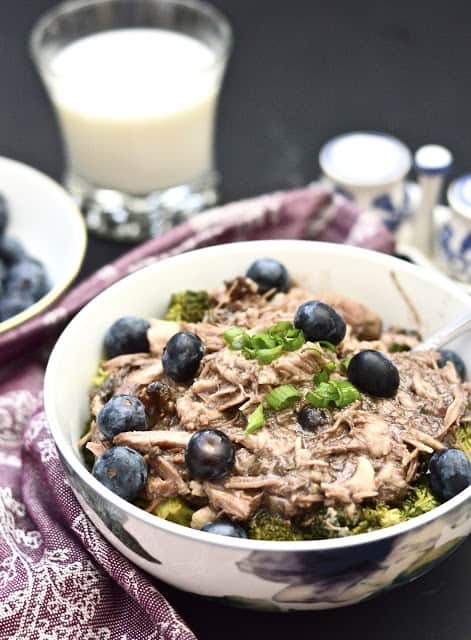 Okay, while I keep dreaming of all the blueberry recipes I want to create for you guys, you should enjoy this Slow Cooker Blueberry Coconut Pork Roast Recipe. I would love to hear what you think of this one! So until next time, happy eating friends! 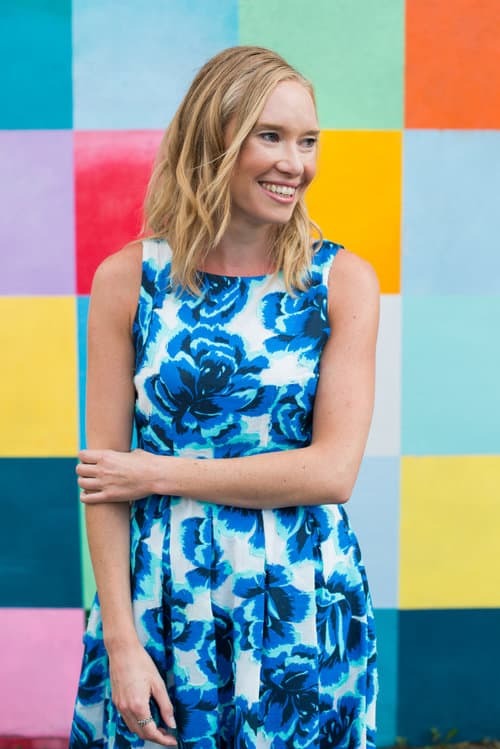 And if you haven’t already, you should sign up for my newsletter! 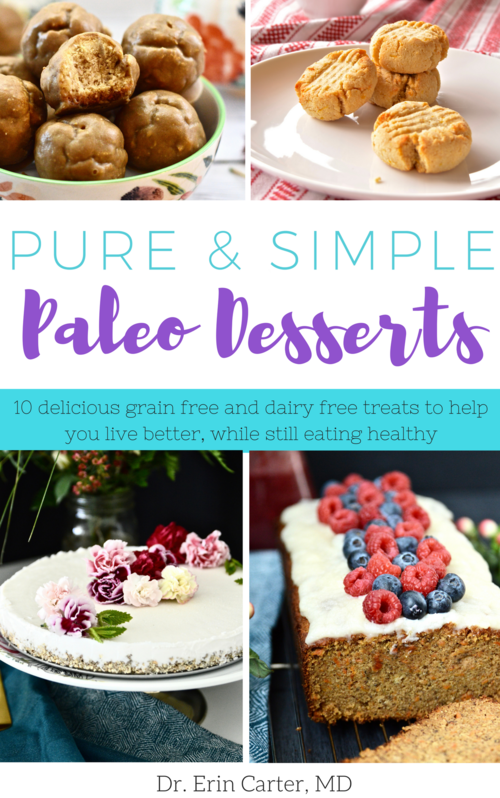 If you do I will share all sorts of great things with you like new recipes, giveaways and my health tips. 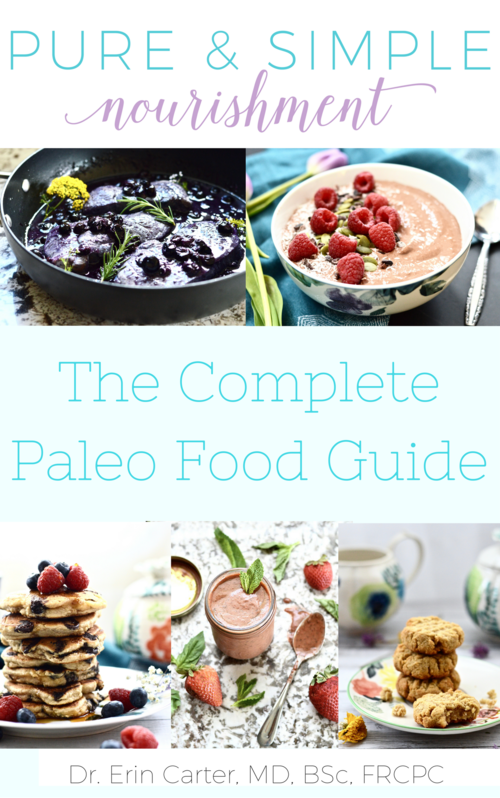 Plus if you sign up, you get a FREE copy of my ebook “8 Ways To Save Money On The Paleo Diet“. This recipe pairs well with cooked broccoli, green beans, zucchini or Brussels sprouts.